Welcome to Plumber Howth, your local team of plumbers in Howth. If you have an emergency plumbing problem, look no further. Our team are on call 24/7-365 days a year to help you in your hour of need. If you call us we can have one of our team at the door of your business or home in under an hour day or night. We are also available for your day to day general plumbing services, from a leaking tap to a full bathroom installation. 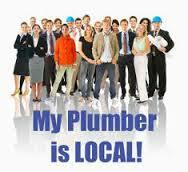 At Plumber Howth it’s our aim to provide our clients with a complete plumbing service. We pride ourselves in producing work of the highest quality. We make sure that we only use the best parts and equipment available and leave your property as clean and tidy as we found it. Our team believe they provide the best value for money plumbing services in Dublin and probably in the whole of the Republic of Ireland. Our clients expect us to be punctual, polite and to do an ultra professional job, we do not let them down. All of our team of Howth Plumbers are fully qualified in all aspects of the trade and R.G.I. registered. We are also covered by full public and professional indemnity insurance. We guarantee every job that we undertake, so in the unlikely case of a problem we will promptly send one of our team (usually the person that originally attended) to come and fix it free of charge. Your Local team at Plumber Howth provide all the following services. • 24 hour emergency plumbers Howth rapid response call out service. • Gas pipe repairs and gas appliance installations. • Drain unblocking. At plumber Howth we use Jet flushing, drain rods and plumbers snakes. • Boiler servicing by fully qualified R.G.I. certified plumbing engineers. • Bathroom refurbishments, toilet, sink, bath, taps, bidets and shower installations. Unlike the majority of plumbing companies, we operate completely transparently. We make our clients are fully aware of our rates at the time they call or book a job. We do not charge for, call outs, traveling time, parking fees “sourcing parts” or have any other hidden charges. This approach has been the foundations on which our great reputation has been built over the years that we have been trading in Dublin. If you need a urgent assistance call your local plumber in Howth today on 01-2844921.